India’s farmers and the poor stand to gain irrespective of whether Prime Minister Narendra Modi wins a second term or his main opponent Rahul Gandhi wrests power in elections starting this week. The biggest losers will be loan defaulters-on-the-run. Infrastructure builders: Both the parties pledged to boost spending to build highways and airports, and to modernize railways and cities. The BJP’s pledge to spend $1.44 trillion on infrastructure will benefit builders including Larsen and Toubro Ltd., India’s biggest engineering company, which saw a 12 percent drop in new orders in the December-quarter as economic growth during the period cooled to the lowest in six quarters. Manufacturers: The Congress vowed to take the share of manufacturing in the nation’s gross domestic product to 25 percent from the current 16 percent, while the BJP plans a new industrial policy to raise the competitiveness of local manufacturers and services companies. That’s good news for the likes of ITC Ltd., a hotels-to-tobacco conglomerate, Bharat Heavy Electricals Ltd., a homegrown power equipment maker, and Tata Steel Ltd., which saw demand from the automobile sector ease in the December-quarter amid tight money conditions in the economy and elevated fuel prices. Start-ups: With jobs being a key election issue in a nation where 12 million youth enter the workforce every year, both parties have committed to fostering entrepreneurship. The BJP promised collateral-free loans and regulatory easing for start-ups, while the Congress plans to create an Enterprise Support Agency and remove the angel tax -- a levy on fundraising by start-ups. Farmers: One of the biggest winners in the pack are, not surprisingly, farmers. 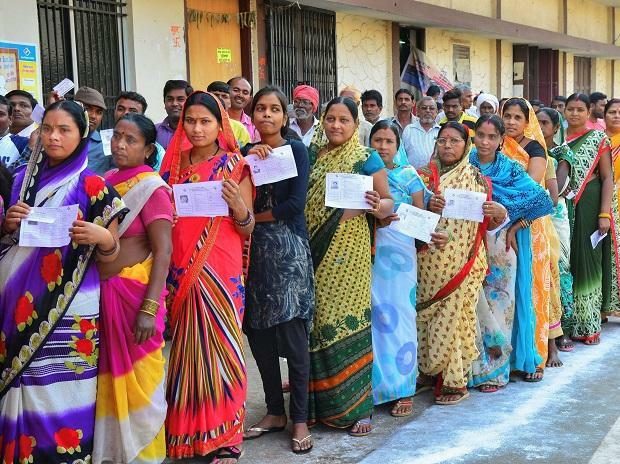 At 263 million, they form a key voting bloc in the world’s largest democracy. The BJP has promised 6,000 rupees-a-year in income support to some farmers, besides pension and interest-free loans. The Congress’s plan involves waiving off farm loans, besides giving 72,000 rupees-a-year to 50 million of the nation’s poorest. Fugitive loan-defaulters: Billionaire Nirav Modi, who allegedly defrauded an Indian bank of $2 billion, and Vijay Mallya, the ex-billionaire known as the “king of good times” in India, may be the biggest losers of this election. Both are currently based in the U.K. after fleeing their home country. The BJP’s Modi and Congress’s Gandhi have assured voters that loan defaulters and fraudsters will be dealt with swiftly by Indian courts. Unemployed: The BJP’s manifesto, surprisingly, doesn’t lay out a specific road-map for creating jobs, other than a plan to boost entrepreneurship. The Congress’s plans to fill 400,000 vacant federal government posts and create 10 million low-skilled jobs fall short of addressing India’s unemployment, which according to a leaked report is at a 45-year high. “That’s unfortunate,” N. R. Bhanumurthy, an economist at New Delhi-based National Institute of Public Finance and Policy, said, referring to the absence of more details on job creation. A lack of jobs is holding back India’s growth, he added. Land reforms: There is no mention of land and labor reforms in the BJP’s manifesto. These are major issues for investors, who find it difficult to acquire land from people and also hire and fire employees. Modi tried this early in his stint but had to give up after being called "anti-poor" by his opponents. Others: The Congress plans to divest stake in state-run companies considered not essential, and merge weak state lenders. It also plans tough regulations for shadow lenders after a series of defaults by beleaguered shadow financier Infrastructure Leasing & Financial Services Ltd. The BJP’s pledge to draw a list of essential devices and prepare a separate pricing policy for medical devices may be a setback for the sector.